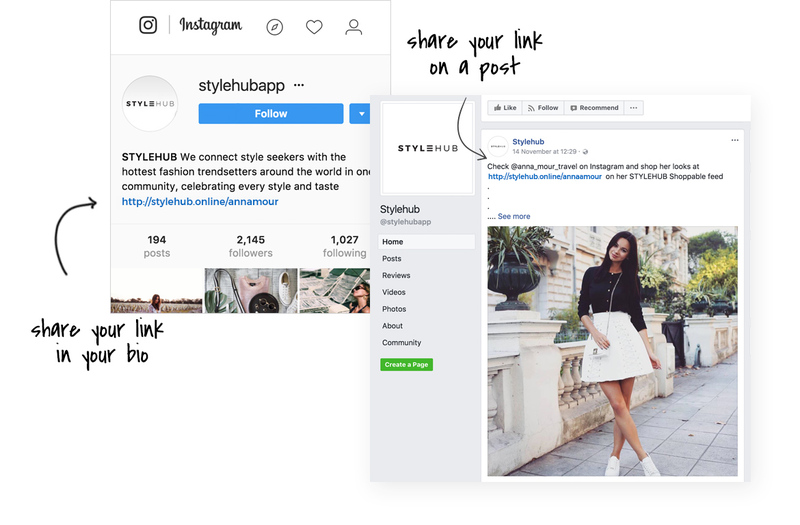 Log into your STYLEHUB account, and click on POST to post shoppable content. Annotations can easily be added on top of photos. 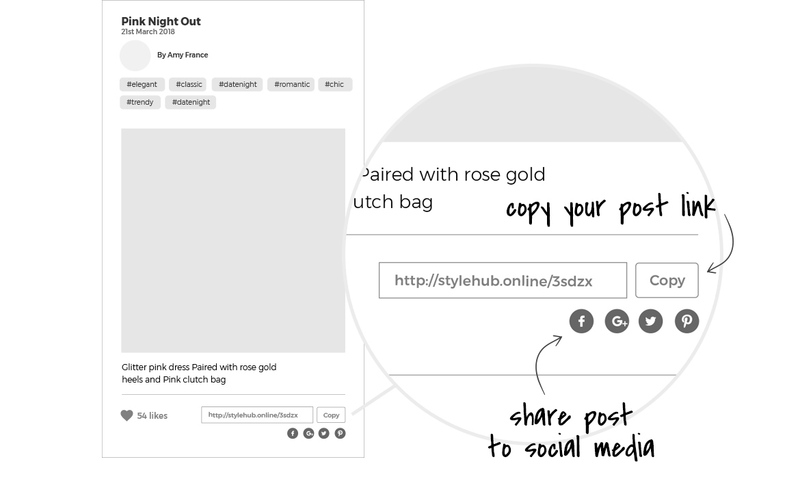 Share your post via social media by clicking the social media icons underneath your looks. Copy and paste the post link to the place where you want your customer click and buy your products or services. If you keep posting, a beautiful collection will be available for you. See the following example. In one click, you can easily share all your posts to get more attention, build awareness, and increase sales. Share your collection via social media by clicking the social media icons. Or copy and paste the collection link to the place where you want your customers to click and buy your products or services. 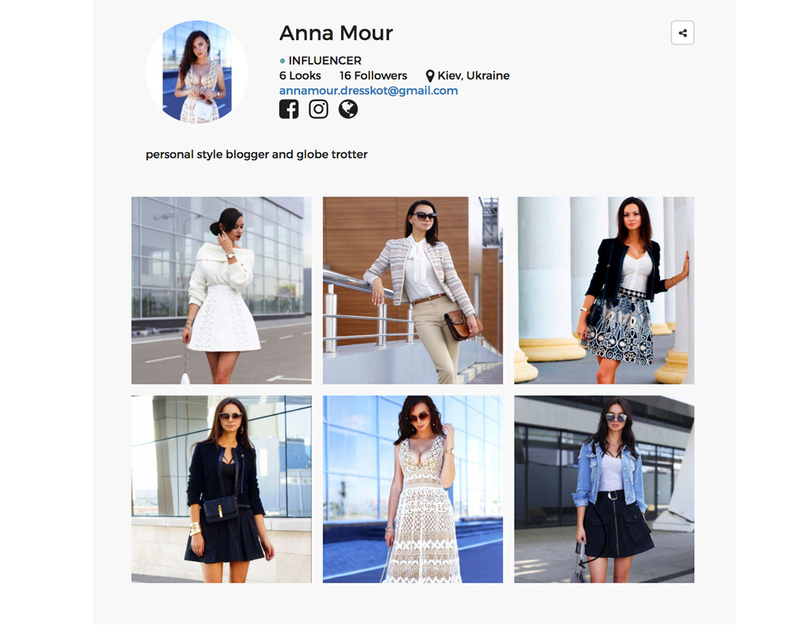 The examples of adding the shoppable content link to the Instagram bio and blogs.